A lot of people (Bloggers/ PR) back here in India assume that I live in Europe. I have been told that multiple times. Whenever I end up going for FAM (familiarisation or press) trips or events, they are surprised to learn that I actually live in India full time. It is true that I have consistently visited Europe every year for the past few years. Also, I have written extensively about planning your own Europe itinerary and it is understandable why people would assume that. 1.1 Is Europe my favourite continent in the world? 1.3 So what kind of European itineraries can you read about here? 1.6 How to get a visa to travel to Europe as an Indian? 1.7 Where to stay in Europe? 1.8 Is it safe to travel to Europe? I actually travel more in India than I travel in Europe. Then why don’t you write a similar post about India, you may ask? Patience people. It is on the list and hopefully, you can check it out before the month is up. I can’t claim to be an expert when it comes to travelling in Europe but I can definitely say that a lot of planning goes into each of my Europe trips. Another assumption that most people make about me is that I tend to stick to only the westernised parts of the Europe continent (I wish people would stop making assumptions about me). It is definitely not intentional and I am hoping that I will make it to a few of the Eastern European countries as well this year. Let us see how that works out. So in this post, I am planning to give an overview of some of the places you can visit during your Europe trip itinerary. Is Europe my favourite continent in the world? Europe is definitely not my favourite continent. Africa beats that by a mile. Then why is that you have travelled so many times to Europe, you may ask? There is no doubt about it. Europe is gorgeous and every European city has a charm to it which cannot be described in words. Those uneven cobbled streets, those pretty looking European facades, those mesmerising views, those gorgeous castles. There is something for everyone here. But for me, it is one of the most convenient places to travel as a solo female Indian traveller. I have travelled solo as well as with a group many times here. Also, I have never felt unsafe in Europe and that according to me is a plus point. 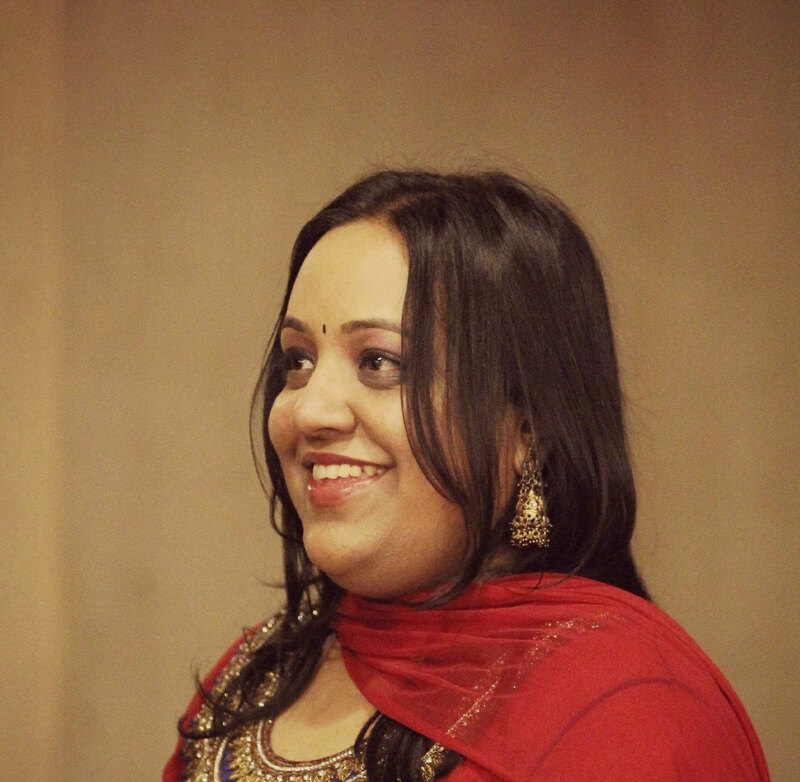 If you are an Indian traveller and a brown traveller like me, then you may face some issues. But that can happen to you anywhere in the world. I get frequent queries from my readers about how to plan a 10 day Europe trip or how to spend 2 weeks in Europe? But unfortunately, I cannot give a detailed explanation every time someone contacts me. This is just a way to summarise everything in one very long post (Yes, you are going to kill me by the time you reach the end of this post.) and hopefully, most of you will find it helpful while planning your Europe travel itinerary. There are numerous itineraries to choose from and you should be able to customise it as you wish. So what kind of European itineraries can you read about here? 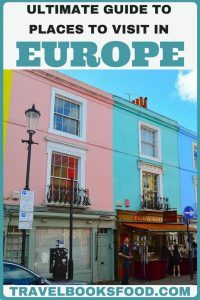 I have tried to compile some of the best itineraries written or researched by me as well as by others who have written extensively about Europe. I am someone with a flexible job but even then I do not have the flexibility of spending months at a given location. Hence most of the itineraries you will find here will be the ones where we (me/other travel bloggers) spend only a few days in each city. But even then you will not find itineraries here that will encourage you to cover 4 countries in 7 days. 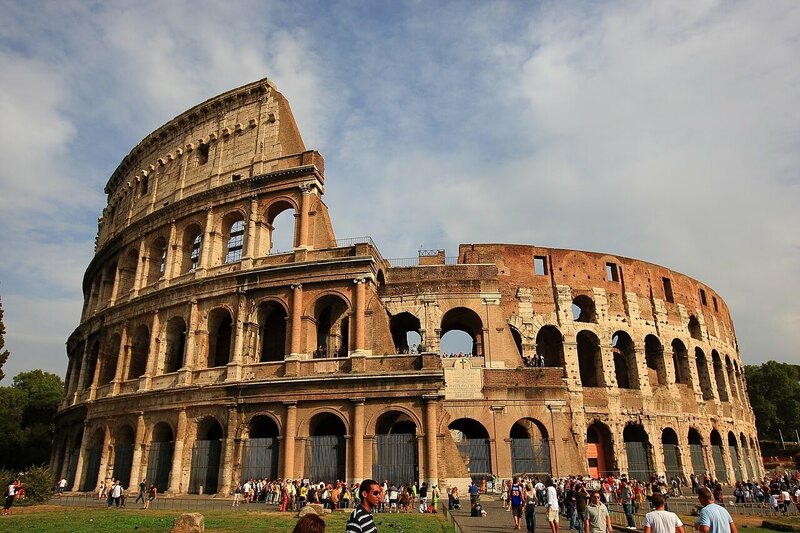 There are many companies that sell such European vacation packages. However, that is just not my style and I have revisited few European cities many times because I felt that I didn’t spend enough time in some of them the first time or second time. Most of my trips have been DIY European vacations except for my semi-arranged SOTC Europe tour in Italy. I do not have anything against people who opt for Europe travel packages but I have found it to be cheaper and better when I end up planning my own Europe itineraries. I don’t think there is a correct answer to this question. 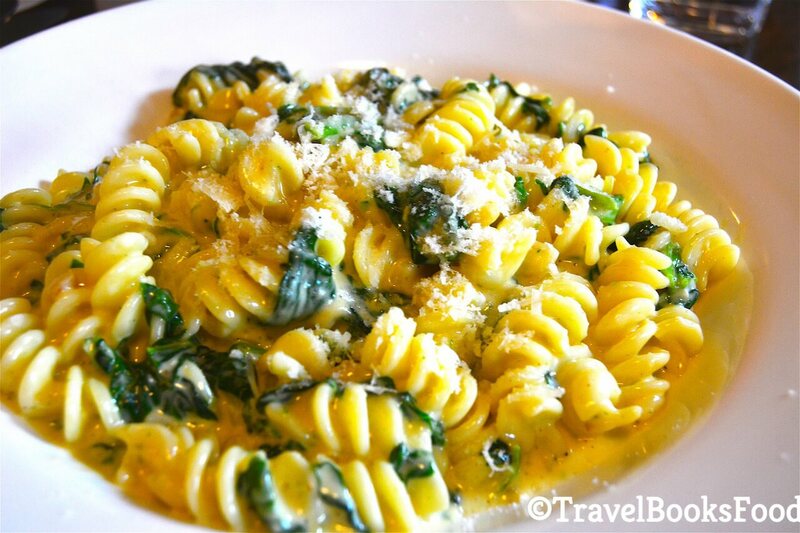 Europe has something for everyone for all seasons. I tend to avoid peak summer (July/August) since some of the touristy places can get a tad too overcrowded for my taste. I love travelling to Europe in May and October since the temperature is exactly to my liking. The public transportation in most of the countries in Western Europe is quite good and I have loved using all forms of public transportation. I have used buses, trains, flights as well as self-driven around many parts of Europe. The priority on which ones I prefer varies from city to city and from country to country. If I had enough budget, I feel that the best way to travel Europe is by car in 2 weeks. (I love driving. So you may disagree with me about this.) I have also ended up using pre-booked day trips depending on the convenience. How to get a visa to travel to Europe as an Indian? I have already extensively written about this earlier and you can find my posts about visas for Indian passport holders below. I have tried hotels, hostels and Airbnb’s in Europe and I cannot say that I have a favourite among them. 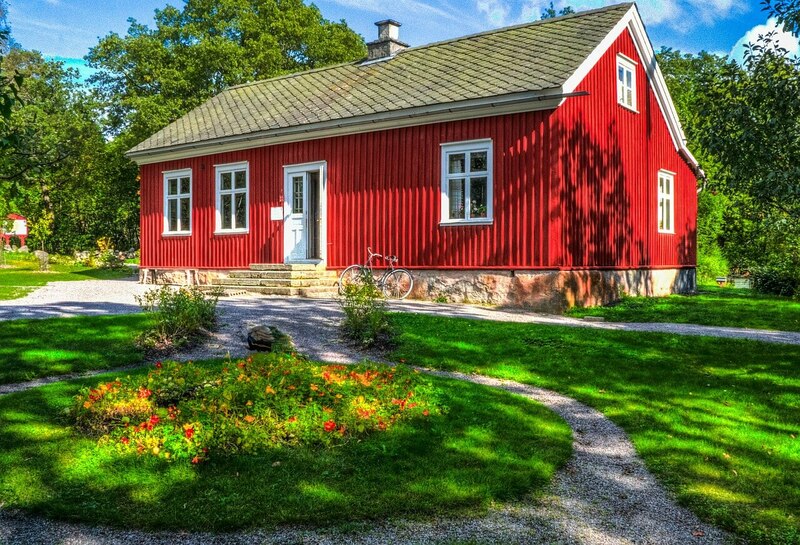 Europe has so many quaint homestays and they tend to be the cheaper option when you are travelling as a group. I love staying in hostels when I am travelling solo since it is such a great way to meet fellow travellers. If I feel like being pampered, then I love to stay in boutique hotels. I have travelled extensively in West, South and Central Europe and I have found it relatively easy to travel solo here. But what most people don’t know is that pickpockets are rampant in Europe. I was robbed in Madrid once and I have already written extensively on what to do if you were ever robbed in Europe. You will find lots of kind people in Europe just like all over the world. Things will go wrong in Europe as well. But travel has always been so uncertain for me and I love the curveballs that travel throws at me. Europe is relatively easier to find vegetarian food. Many people may disagree but I have had good success finding vegetarian food in Europe. I agree that it may be a little more difficult in offbeat areas. But as long as you are able to convey that you are a vegetarian, you will be fine. I have had locals go out of their way to make sure that I find vegetarian food to eat. I am a horrible cook. So I usually don’t carry ready to eat meals when I am travelling. But I have had good success in finding vegetarian food in Europe. I have written extensively about being a vegetarian in Europe. Also, with the advent of Vegan travel, it has become much easier to find vegetarian food. Why don’t you check out my posts from my vegetarian foodie series? So let us head to some sample Europe itineraries. 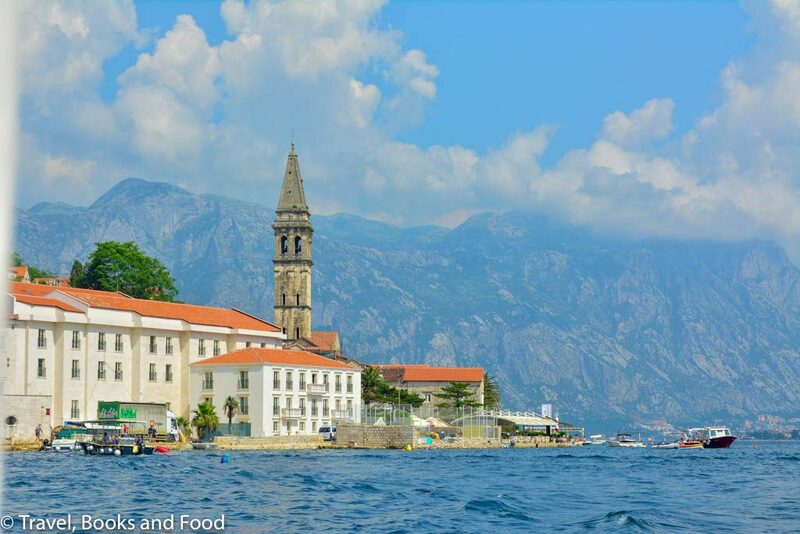 Let us start with a West Europe tour first and then head to an Eastern Europe itinerary. By trying to compile itineraries from everyone, I hope I have helped you in planning your best Europe itinerary. Most of the itineraries are circular and like I said before, you can customise it according to your wish. So let us go country wise. This is not an exhaustive list and it will be hopefully updated on a frequent basis. Do you have a suggestion to add to the list? Send it to me and I will add it accordingly. Having too many Google maps ended up slowing the page. Hence I have linked to the Google maps for each itinerary within each subsection. Is England my favourite country in Europe? Not really. But ironically it is currently the first and the last European country I have been to. As an 11-year-old setting foot for the first time in Europe, London was definitely not an ideal choice. The thing I remember most about that trip is how it rained every single day and how I found it dreary and dull. My 2nd time in London did not change that perception either. But they say third time is a charm and I finally warmed up to London when I went last year. For the sake of creating better circular itineraries, I have divided some countries into multiple itineraries. Let us start with an itinerary covering South England. Check out the map here. Many of them can be done as a day trip from London. London: Spend at least the first 4-5 days in London. Go in search of the Queen at the Buckingham Palace or the Windsor. 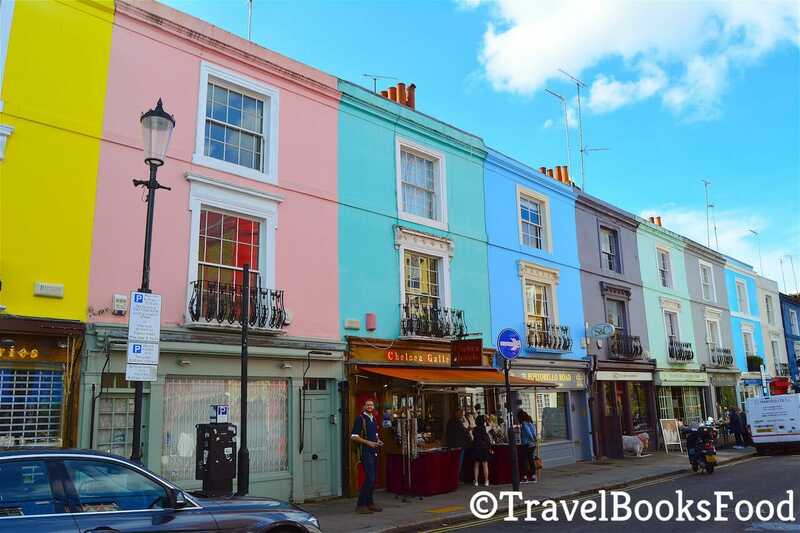 Go in search of colours at Notting Hill. Enjoy some time in the London of Harry Potter’s World. London is definitely one of the best places in the world to go shopping. There are numerous things to do in London and I guess even after 3 visits, I haven’t even scratched the surface. Kent: From London, head south to the county of Kent. Visit the White Cliffs of Dover (Remember overlooking the Strait of Dover (And subsequently the English Channel.). Go castle hopping between the Leeds Castle and the Dover Castle. Brighton: Next, head to the famous seaside resort town of Brighton, also known as the hippest city in the UK. Famous for its cultural and art scene as well as for being one of the most popular seaside destinations for overseas tourists. Isle of Wight: My friend went to the Isle of Wight on a day trip from London and she loved this place. It is an island off the coast of the mainland and is known for its coastal scenery. Dorset, Devon and Southampton: I really wanted to go explore the Jurassic coast when I was in England last year. It is a World Heritage site on the English channel and it contains the fossilised remains of many creatures from different eras. I guess most of you have heard about the Durdle door. Next head to the port city of Southampton from where Titanic had departed back in 1912. Cornwall: Head to Cornwall next to explore more beaches and picturesque villages on the South West coast of England. Stonehedge: On the way back, go wander and speculate on the mystery of the giant ring of standing stones and burial mounds at Stonehedge. Bath: If you are a fan like me of Jane Austen, then you would have seen the mention of Bath in many of her novels. Go check out the Roman baths or go exploring this city through the works of Jane Austen. Bristol: Bristol is next on the list and spend at least a day here exploring the museum ship of SS Great Britan and other cultural hub destinations here. Cotswolds: The villages of Castle Combe and Bibury in the Cotswolds region has already made it to the list of many of the prettiest villages in Europe. Oxford and Cambridge: No visit to England is complete without a visit to the university towns of Oxford and Cambridge. Let us now move to North England from London. Check out the map here. Southwold in Suffolk: If you are looking for some colourful beach huts and a charming little beach town, then Southwold should be on your itinerary. Sheffield and Peak district: From here, head to Peak district and to the nearby quirky district of Sheffield. There are multiple options for hiking in the Peak district and it is usually suitable year round. Leeds: My friend, Lavi gives us good inspiration to visit Leeds during Christmas time through some gorgeous photos. York: Next, head to York to spend a couple of days wandering around this walled city founded by the Romans. Lake District: If you are a nature fan, then don’t forget to head to this UNESCO world heritage site, famous for its lakes, mountains and forests. Manchester: I know too many football fans who would love to visit this city. Also, don’t forget to head to Blackpool, a seaside resort on your way to Manchester. Liverpool: On the way back to London, don’t forget to stop at this maritime city for a couple of days. Find out more and book your guided tour to Harry Potter Warner Bros Studios. Find out more and book a full day guided tour to the Lake District. 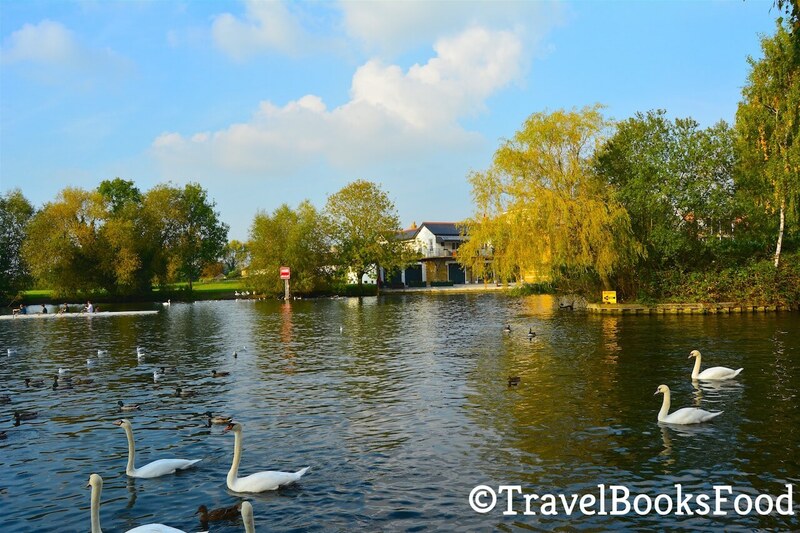 Find out more and book your guided tour to Cotswolds Villages from London. I fell in love with Scotland when I was there last year. The Scotish Highlands is one of the most beautiful places I have visited in my life. If you can bear the unpredictable climate, you will definitely fall in love with the place. I am in love with their accent and the men too. And if there is a place to visit castles, then Scotland is the place. Check out the map of a Scotland itinerary here. Edinburgh: I spent only a few hours in Edinburgh and this is one city that I would love to revisit when I am back in Scotland. Glasgow: Glasgow is known for its vibrant food scene and I would definitely love to visit this city. Loch Lomond: Till I went to Scotland, I did not know that Loch means lake. It is a beautiful national park and lake and you will spend hours trying to photograph the beauty of the place. Isle of Mull: The Hebrides is an archipelago off the west coast of Scotland. It contains the Inner Hebrides and the Outer Hebrides. There are around 40 islands in the Inner one and Isle of Mull is the second largest one. 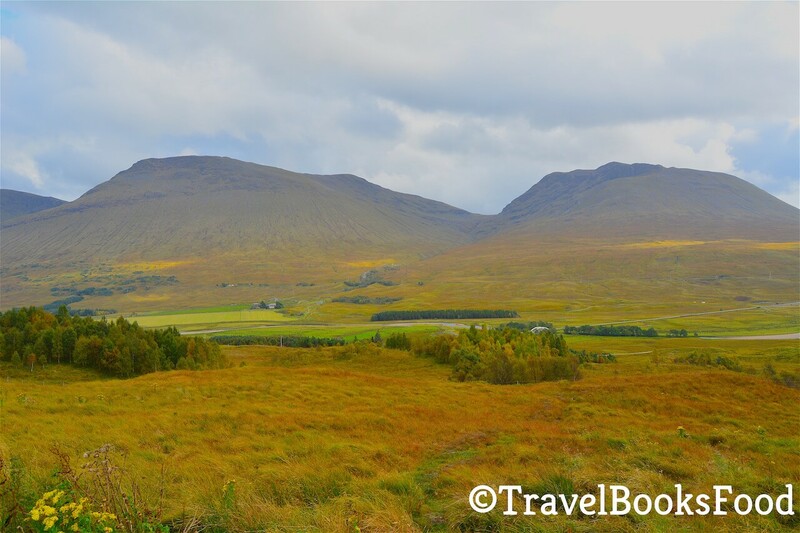 Ben Nevis and Fort William: We stayed in Oban on our way back from Skye. We couldn’t go up the aerial tramway at the Ben Nevis range because of bad weather. Isle of Skye: I have already written in detail about our trip to the Isle of Skye. If you are in Scotland, don’t miss an Isle of Skye tour. NC 500: The North Coast 500 along the coast of Scotland is said to be the next big thing in tourism in Scotland. This scenic drive across the north coast is said to be a gorgeous and most people recommend a minimum of 4-5 days. Take a ferry to Shetland islands or Orkney islands from the north coast of Scotland. Loch Ness: I missed seeing Nessie, the mythological lake monster in Loch Ness because we just didn’t have time. This is the first place I will be visiting next time I am in Scotland. The city of Inverness is only around 15 miles from here. Aberdeen: On the way back to Edinburgh, don’t forget to visit the international city of Aberdeen and the city of Fife. Find out more and book your guided tour to the Scottish Highlands. Find out more and book a full day guided tour to the Isle of Skye from Inverness. Find out more and book your guided tour to Fife Villages from Edinburgh. Ireland, popularly known as the Emerald Isle was one country I was dying to visit and I finally made it here last year. I was surprised to find that even though it is full of greenery, you can find colour at almost every turn with an array of colourful villages. I loved the Irish people for their warmth and who can forget their beer and Whiskey. Also, don’t forget to go Irish dancing. 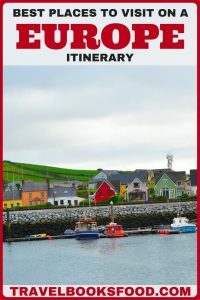 Check out this ultimate post if you are planning a trip to Ireland. Check out the map of an Ireland itinerary here. Dublin: Most people start their Ireland tour at Dublin. Definitely spend few days here hopping around the many pubs around town. But for me, the highlight of our visit to Dublin was the visit to the library of Trinity College in Dublin. Kilkenny: Next stop is the medieval town of Kilkenny and do visit Kilkenny to see many churches and monasteries. Cork: From here, head to the next town of Cork. The famous Blarney stone and castle is just few minutes from the town of Cork. Killarney: I was in Killarney for a few days to attend a travel bloggers conference last year. Post the conference, we did a driving Ring of Kerry itinerary for the next few days. Dingle: The Wild Atlantic Way is one of the most scenic drives I have ever done. Dingle was one of our first stops and when you are here, don’t forget to go see Fungie, the friendly dolphin. From here, head out to the most famous spot in Ireland, the Cliffs of Moher. Limerick: From here, don’t forget to make a stop at Limerick, known for its compact town lined with Georgian townhouses. 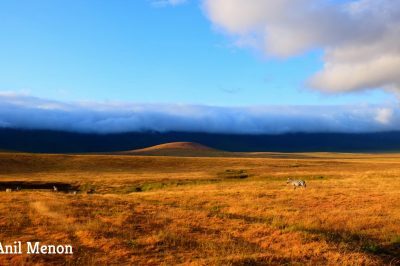 Galway and Connemara: Galway is one of the most colourful cities in Ireland and you will be surprised with colour at almost every turn in the centre of the city. While here, don’t forget to visit the Connemara national park. 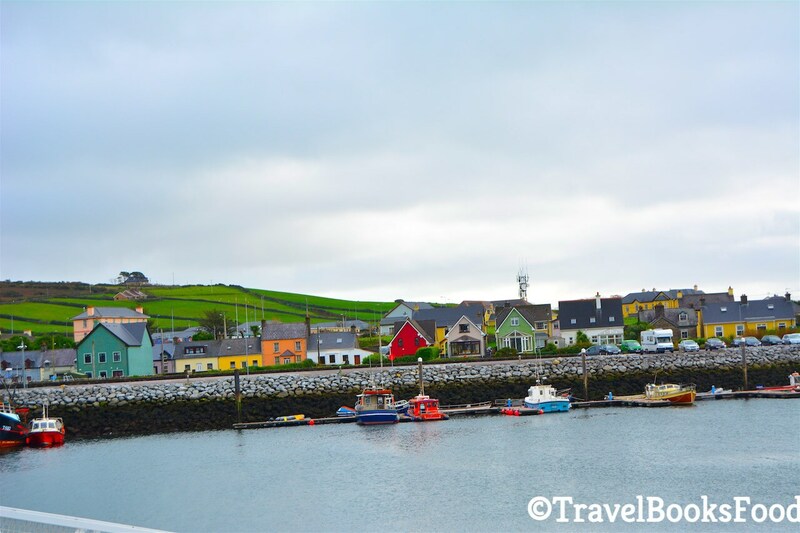 Westport – County Mayo: Westport should definitely be on your list if you are planning to head to the west coast of Ireland. Sligo: If you do end up going here, don’t forget to head out to Benbulbin, a large rock formation in Silgo. Slieve League: If you want to visit the highest sea cliffs in Ireland, then don’t forget to visit Sliabh Liag before you leave Ireland. Find out more and book your guided tour to Connemara from Dublin. Find out more and book a full day guided tour to Cliffs of Moher from Dublin. Find out more and book your guided tour to Ring of Kerry from Cork. I couldn’t visit Northern Ireland last time I was in Europe. But as a huge GOT fan, I would love to visit some of the areas around Northern Ireland to visit some of the filming locations. Check the map of a Northern Ireland itinerary here. Belfast: Belfast is best known to be the birthplace of the Titanic. But it is so much more than that and hopefully, I will get to visit it soon. Londonderry: You could visit the county of Londonderry when you are in Belfast and spend at least few hours here. Giant Causeway: Another UNESCO world heritage site and nature reserve, the Giant Causeway are a must visit when you are in Northern Ireland. Dark Hedges & Ballintoy: I want to visit this place just to see this iconic GOT filming location. Isle of Man: The Isle of Man is a self-governing nation with a dependency on the British Crown. It is the first whole nation to be granted biosphere reserve status by UNESCO. Take a ferry to Isle of Man from Belfast. Find out more and book your guided tour to the Titanic experience from Belfast. 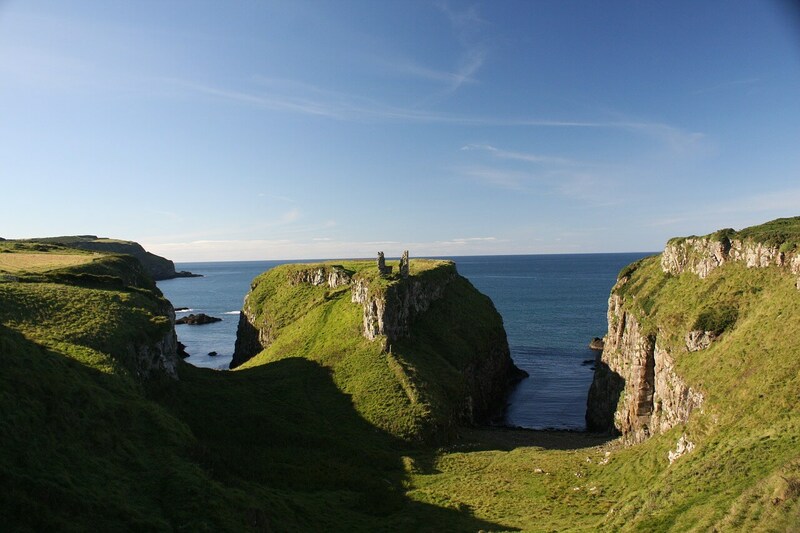 Find out more and book a full day guided tour to Giant’s Causeway from Belfast. Many people invited me to visit Wales this time around but I really couldn’t make it this time. Hopefully, sometime in the future and I would love to spend at least 3 days here. Check out the map of a Wales itinerary here. Cardiff: Start with the nation’s capital and don’t forget to visit the Cardiff Castle. Pembrokeshire: The Pembrokeshire coast national park is a national park with a spectacular coastline and is home to many famous beaches. 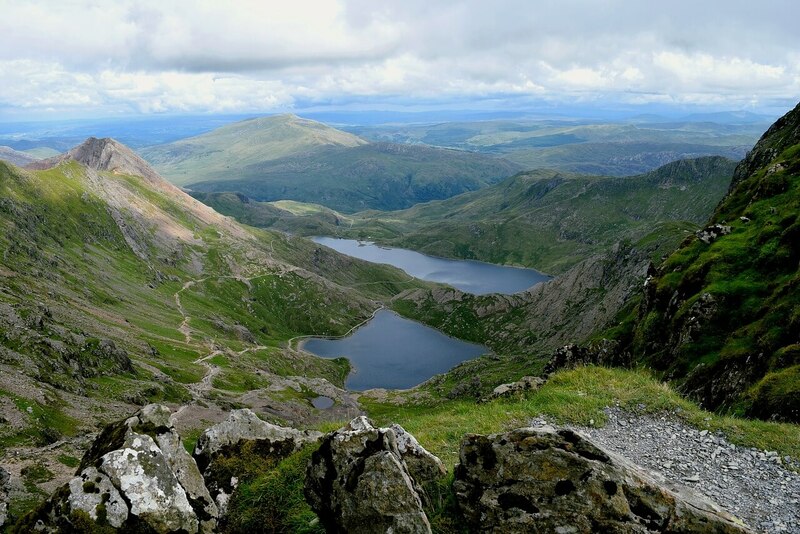 Snowdonia: Then head to Snowdonia, another park with mountains, lakes and villages. Conwy and Llandudno: From here, head to the walled market town of Conwy, another popular tourist destination in Wales. Anglesey: This is an island off the coast of Wales and is connected to the mainland by the Menai suspension bridge. Find out more and book your guided tour South Wales from Cardiff. Find out more and book your guided tour to North Wales for a week. 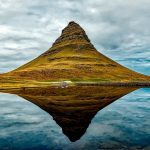 I just wrote my 10 day Iceland roadtrip itinerary wishlist. Check it out and let me know what you think. Portugal is one of my favourite countries in Europe and in my opinion, it is quite underrated for most Indians. I loved my time in Portugal and can’t wait to head back to explore more. Last time, I was in Portugal, I only stuck to the south part and I still fell in love with this vibrant country. Check out the itinerary map here for South Portugal. Lisbon: Lisbon still remains to be one of my favourite cities in the world. I ended up spending 3 days in Lisbon and I had such a fun time here. Also, don’t forget to take a day trip to Sintra and surrounding areas when you are in Lisbon. Evora: If you love history and architecture, then head to Evora and while you are here, don’t forget to visit the Chapel of Bones. Estrela: In the mood for some skiing during the winter months? Then head to the Serra de Estrela, the highest mountain range in continental Europe. 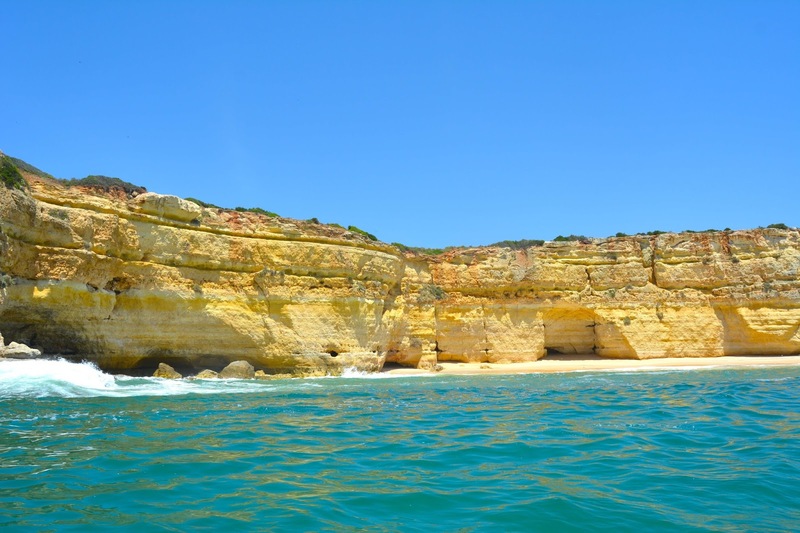 Algarve: I loved spending time in the Algarve region and it definitely has one of the most stunning coastlines in Europe. In spite of travelling solo in Algarve, it remains to be one of my favourite places to drive in Europe. Check out the itinerary map of North Portugal here. Coimbra: Looking to explore some Baroque and Roman architecture? Then head to Coimbra from Lisbon. Douro Valley: Did you know that the Douro wine region valley is the oldest demarcated wine region in the world? Do you need any other reason to visit it? Braga: Braga is known for a rich religious heritage and is home to many famous religious buildings. Peneda: The Peneda Geres National park is only two hours away from Braga and is home to many home springs. Porto: This famous coastal city is famous for its port wine and is said to be a must visit on a trip to Portugal. Aveiro: Aveiro has suddenly become prominent on the tourist map and you can find many colourful boats in its canals and many colourful houses on the Costa Nova beach. Obidos: Before you head back to Lisbon, stop at the charming town of Obidos. Madeira: Madeira is an archipelago of 4 islands off the northwest coast of Africa, known for its warm climate. Azores islands: The Azores islands are a group of 9 islands off the coast of Portugal in mid-Atlantic. All the islands are said to be incredibly beautiful and well-preserved. Find out more and book your guided tour to Sintra, Cascais and Cabo da Roca from Lisbon. Find out more and book your guided tour to Benagil Caves from Portimao. Find out more and book your guided tour for some whale watching in the Azores. Spain is definitely one of the most difficult places to choose a scheduled itinerary. 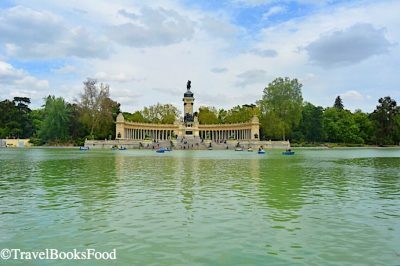 There are so many places to visit in Spain and it is hard to just choose one itinerary. I spent 9 days in Spain and even then, I managed to see so less of Spain. I am definitely heading back there one day. Let us start with the islands of Spain. Spain definitely has some of the gorgeous islands in the world and it is difficult to choose just one island when you are in Spain. The Canary Islands is an archipelago off the coast of Morocco and have the historical significance of being the bridge between America, Africa and Europe. So which of the Canary islands would you love to visit? Each of the 7 major Canary islands are gorgeous in their own way. The popular ones are Tenerife, Gran Canaria, Lanzarote, La Palma, La Gorema and Fuerteventura. All the Balearic islands are also equally popular and beautiful. I spent 2 days in Mallorca and it was definitely a relaxing vacation when I was there. Ibiza is the most popular of the lot and is famous for its nightlife and thriving party scene. Menorca and Formentera are also known for their beautiful Mediterranean beaches and I would love to go here one day. Check out the map of the Northern Spain itinerary here. Barcelona: I have only been to Barcelona once and I was not too impressed with the city. I guess I went at the wrong time and everywhere I went, I was overwhelmed by the crowds. But the one thing I loved in Barcelona was Gaudi and it is difficult to go anywhere in Barcelona without seeing some of his famous architectural works. La Rioja: If you are craving for some wine, don’t forget to head to the La Rioja region in northern Spain. Galicia: The city of Santiago De Compostela in Galicia in North Western Spain is where the shrine of St James is. The popular religious pilgrimage, popularly known as Camino De Santiago ends here. Many folks walk ‘The Way’ from many places in Europe which end at this shrine. Bilbao: From here, let us head to the industrial port city in northern Spain known mostly for its museums, predominantly the Modern Art Museum, Guggenheim Museum. San Sebastian: From Bilbao, head to the resort town of San Sebastian with some picturesque beaches and world famous restaurants in the Basque county. Pamplona: Who hasn’t heard of the running of bulls in Pamplona in early July? I have no plans to attend this tradition since it is quite brutal to both humans and the animals. Girona and Costa Brava: Costa Brava is known as the wild rugged coast of Spain and is known for some spectacular beaches in Europe. Did you know that ZNMD was shot here, especially the Scuba diving part? Do you need any other reason now to visit Costa Brava? When you are in Girona or Barcelona, why don’t you take a day trip to the neighbouring country of Andorra? Check out the map of the Southern Spain itinerary here. Madrid. Most people have a love and hate relationship with Madrid. I was robbed in Madrid within an hour of landing in the city and it is one of those cities that took a while for me to actually warm up to. I ended up spending 4 days in Madrid and I slowly fell in love with this city despite the chaos. When you are in Madrid, don’t forget to do a day trip to Segovia and Toledo. Seville: Since I was stuck in Madrid due to the robbery, I had to cancel my plans of visiting Seville and this is one place I would love to go back to. Especially to see the Flamenco dancing and the Alcazar palace. I hope to do at least one road trip in Andalusia soon. Cordoba: When you are in Seville, don’t forget to do a day trip to another jewel in the Andalusian region, Cordoba. Since this was a major Islamic centre in the Middle Ages, I would love to visit the famous mosque and other architectural gems here. Ronda: Ronda has made it to many of the top ‘beautiful cities to see before you die’ lists. It is a mountainous city and sits on top of a deep gorge and this lends to the beauty of this place. 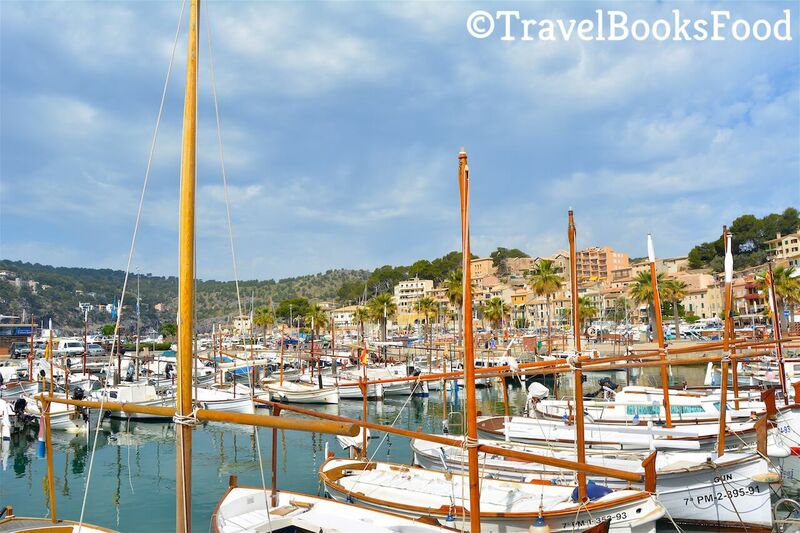 Marbella: From here, I would love to head to go visit some Mediterranean beaches in the Costa Del Sol region. Marbella is the perfect town to get some beach time and go scuba diving in Spain. Malaga: Next on the list is Malaga. Malaga is another perfect port city on the Costa Del Sol and is ideal for some more beach time. Granada: Another day trip to Granada can be done to see some great medieval architecture like the Alhambra and other Moorish attractions. Almeria: Looking for more Medieval architecture from the Moorish times? Then don’t forget to head out to Almeria in Andalusia. Alicante: Alicante is another port city that you can visit if you are looking for more time in the Mediterranean beaches. Valencia: Valencia can be your last stop when planning a road trip around southern Spain. I haven’t been but many people have fallen in love with the city for its old city charms with a modern touch. Find out more and book your full day guided tour to scenic Mallorca. Find out more and book your guided tour to Ronda from Seville. Find out more and book your guided tour to Toledo and Segovia from Madrid. France is one of those countries with which you will either fall in love with or hate it. But if you go the off-beaten path in France, I am pretty sure you will fall in love with this country. Check out the map of the Northern France itinerary here. Alsace: Colmar near the German border has to be one of the most charming towns I have been to in Europe. 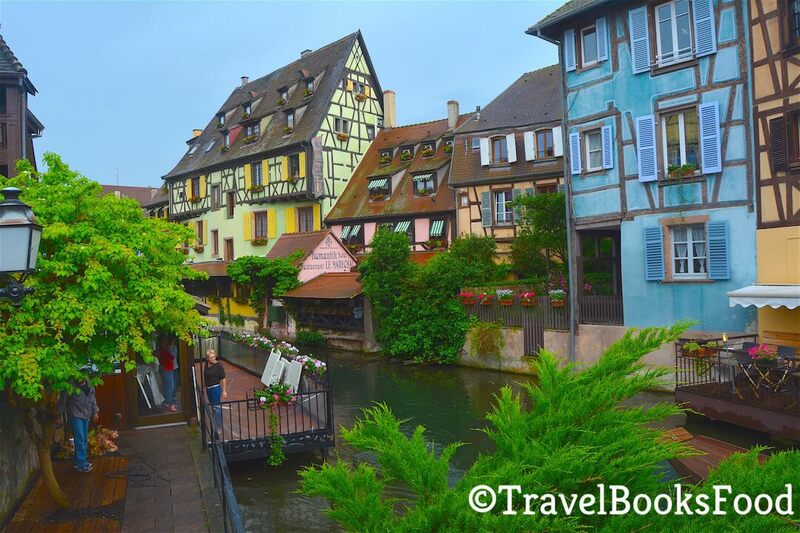 Strasbourg in the Alsace region is equally stunning and if you are a wine lover, don’t forget to visit this region when you are in France. Paris: I have been thrice to Paris and every time I go here, I fall in love with it more. Many people may not agree with me. Last time I went, it was raining in Paris and I did nothing but eat and walk. I still loved Paris and one of the highlights of that visit was to go attend my first cabaret show at the Moulin Rouge, Paris. Also, don’t forget to do a day trip to Versailles from here. Normandy: This entire region in Northern France is famous for its white cliffs and historically, the Normandy landings are known for being a crucial event during World War II. Mont St Michel: This island commune which is part of Normandy is a famous tourist attraction these days. Brittany: From here, head to one of the many beach resorts along the rugged coastline in the Brittany region. Nantes: Head to the industrial and port city of Nantes before going back to Paris. Check out the map of the Southern France itinerary here. Bordeaux: In a mood for some French wine and French Gothic architecture? Then head to Bordeaux from Paris. Toulouse: From here, then head to the city close to the Spanish border for seeing more architectural marvels. Montpellier: Continuing on the route of French architecture, head to this Southern city of Montpellier. Marseille in Provence: Next on the list is the port city of Marseille in the Mediterranean region. I would love to go here one day to see the Lavender fields. French Riveria: Cannes is internationally renowned for its film festival. Want to see some stars? Then head here during the festival. Also, don’t forget to visit both Nice and Saint Tropez on the Riveria. The neighbouring country of Monaco is only 30 minutes away from Nice. Why don’t you head there for a day to live in the lap of luxury and see what makes it so attractive to so many wealthy people? Annecy: Annecy has also made it to multiple lists of ‘Beautiful towns in the world’ and I would love to visit it one day. Lyon: Make a stop at Lyon for some medieval and Renaissance architecture before heading back to Paris. Find out more and book your guided tour to Versailles Palace. Find out more and book your guided tour to Alsace Wine from Colmar. Find out more and book your helicopter tour in Monaco. I spent 9 days in Italy once and it is one of those countries I have vowed to go back. Italy is again a treasure-load of places to visit and I am hoping that I will definitely check a few more off my list. Italy is one of those countries which is perfect for the ‘Europe by train itinerary’. Check out the map of the Northern Italy itinerary here. Rome: I fell in love with Rome for the first time when I saw the movie ‘The Roman Holiday’. For years after that, I yearned to go to Rome and I was beyond thrilled to go see some of the most beautiful architecture I have ever seen. Siena: Siena is another charming city in the Tuscany region famous for some gorgeous architecture, especially the medieval brick buildings. Florence and Pisa: I have been very vocal about how Florence in Tuscany is one of my favourite cities in the world and it is one of the most charming cities I have been to. Pisa is just a few hours away and definitely, don’t miss out visiting that crazy bell tower that refuses to stand straight. Cinque Terre: Who wouldn’t want to visit a UNESCO world heritage site? There are 5 colourful villages (Monterosso al Mare, Vernazza, Corniglia, Manarola, and Riomaggiore) here to visit set against the background of the Italian Rivera and all of them are said to be gorgeous. Turin: Next on the list is Turin, home to the Shroud of Turin which is alleged to be the burial shroud of Jesus and has an image said to be the image of Jesus. Don’t forget to make a quick stop at Genoa. Milan: I couldn’t visit the fashion capital of the world when I was in Italy last time and I hope to visit next time I am in Italy. Lake Como and Lake Garda: While Lake Garda is the largest lake in Italy, Lake Como is known for its exceptional scenery with the Alps in the background. What more do you need? Verona: Verona is most famous for claiming to be where you can find ‘Juliet’s home’, the tragic heroine from Shakespeare’s famous play. Venice: Venice is a city that I am not too fond of. Maybe it was because it was too crowded and flooded when we went there. But there are many who love Venice and I would definitely love to revisit to see if I will change my opinion of this city. Bologna: Don’t forget to visit this brown city on the way back to Rome famous for its Renaissance and Medieval architecture. San Marino: Did you know that there is another microstate/republic inside the country, Italy? This is quite high on my bucket list during my next visit to Italy. Vatican: If given a choice, then I would spend at least few days inside the Vatican. Maybe next time I am here, I will get to see the Pope. Check out the map of the Southern Italy itinerary here. Naples: They say you find the best pizza in the world in Naples. Who can say no to this topped with lots of gorgeous castles, frescos and cathedrals? Pompeii: Even though this city was buried under volcanic ash for almost 1500 years, it is now an archaeological and UNESCO world heritage site visited by millions of tourists every year. Amalfi Coast: Another UNESCO World heritage site characterised by a gorgeous coastline. Numerous villages are a must visit here with Positano being a major tourist centre. Puglia: The entire Southern Region called Italy’s boot is famous for its quaint whitewashed villages and Mediterranean coastline. Don’t forget to visit the stone houses with conical roofs in Alberobello or go to Lecca which is known as the Venice of the south. Sicily: Sicily may be famous for being the origin city of the Mafia. But this island just off the coast of Italy boasts of some gorgeous beaches and rich historical preserved sites. Palermo, the capital is one place you have to visit here. Sardinia (Island off the coast of Italy): This is the 2nd largest island in the Mediterranean and it has almost 2000km of coastline with sandy beaches and a mountainous interior. Find out more and book your guided tour to Cinque Terre from Florence. Find out more and book your guided tour Lake Como and Lugano from Milan. Find out more and book your guided walking tour in Alberobello. In my opinion, Belgium does not get enough attention from my fellow Indians when it comes to planning their West Europe tour. But Belgium has some gorgeous towns and cities and who can say no to those delicious Belgian chocolates. Check out the map of Belgium and Luxembourg itinerary here. Brussels: I started my 3 days in Belgium tour in Brussels and I set it as a base to explore Belgium. It is definitely one of those underrated cities and I loved being in the birthplace of Tintin. 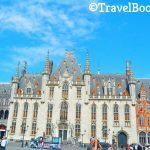 Bruges and Ghent: Bruges is one of those charming little towns you will fall in love with in Europe. It has such an otherworldly feel to it and I would love to go back just to see Bruges at nighttime. Ghent is equally beautiful. Antwerp: Known for its Flemish renaissance architecture and many people prefer Antwerp to Brussels. Tomorrowland festival is held in Boom every year and is just 15km away. Mechelen: Another city known for Flemish art. Leuven: If you are looking for breweries in Belgium, then Leuven is the place to be. Halle: Ever wondered where to go in Spring to watch the bluebell carpet which covers the forest floor? That is the Hallerbos forest in the municipality of Halle in Belgium. Tournai: Another place to explore near the French border. Luxembourg City: Did you know that the country of Luxembourg can be done as a day trip from Brussels? I didn’t like the fact that I ended up spending only a few hours in the country. But I guess, each to their own. Dinant: On the way back from Luxembourg, we spent a few hours in the quaint town of Dinant. It is a charming town and the birthplace of the inventor of the Saxophone. Find out more and book your guided tour to Luxembourg from Brussels. 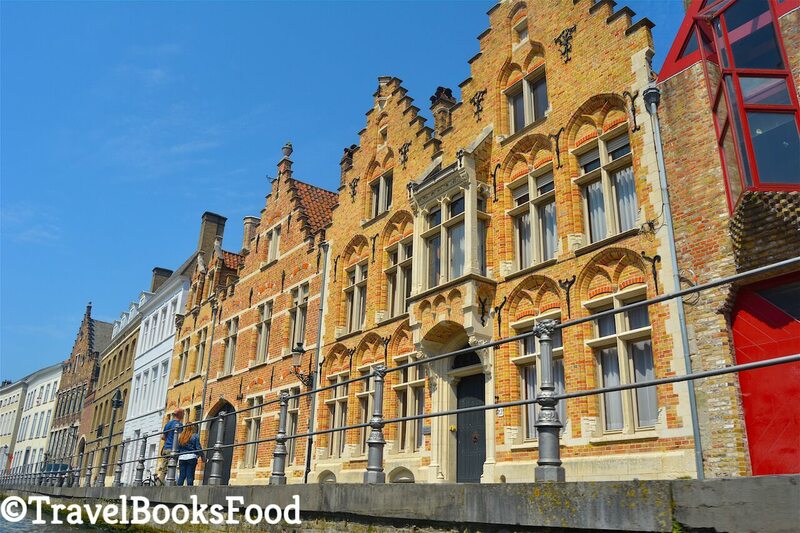 Find out more and book your guided tour around Flanders. I visited the Netherlands for the first time when I was a kid and I loved Madurodam. I have always wanted to go back and I finally managed to visit on my big Eurotrip. I am hoping to go back again this year. Check out the map for Netherlands itinerary here. Amsterdam: I spent 3 days in Amsterdam this time around and my favourite place in Amsterdam was the Anne Frank house. 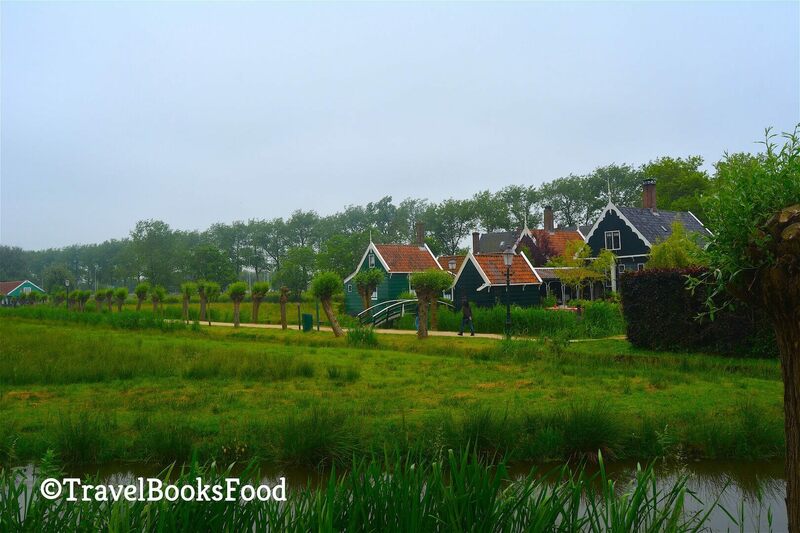 Take a day trip to Harlem, Zaanse Schans, Keukenhof or Volendam on any one given day. But whatever you do, don’t stay at the Meininger Amsterdam City West. It remains to this day one of the worst places I have stayed at. The Hague: This is the seat of the Dutch parliament and you will find the miniature city of Madurodam here. Rotterdam: Another major port city in South Holland, known for its proximity to the Windmills of Kinderdijk and the famous yellow cube houses. Gouda: If you are looking to taste some cheese in the Netherlands, then don’t forget to head out to the city of Gouda. Utrecht: Another medieval old town with lots of canals and Christian monuments. Groningen: Groningen has been in the news for a while now for its beauty and the fact that it is a town without roads and the only way you can get around is by boat. The Wadden Sea: This is a UNESCO protected site and it is an absolute visit for every nature lover. Find out more and book your guided tour to the Heineken Experience in Amsterdam. Find out more and book your guided tour to the fishing villages around Amsterdam. 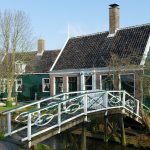 Find out more and book your guided tour to Rotterdam, Delft and The Hague from Amsterdam. Sweden is definitely on my wish of places and hopefully, I will go to all the Scandinavian countries soon. Check out the map for Northern Sweden itinerary here. Stockholm and Stockholm Archipelago: Let us start with the capital which comprises of 14 islands while the archipelago consists of more than 3000 islands. Those colourful houses on the Gamla stan have been tempting me for a while. Swedish Lapland: From Stockholm, you can head northwards towards the Swedish Lapland. It is easier to fly here. From here, don’t forget to visit the Kiruna Ice Hotel. Jokkmokk: From here, head to Jokkmokk, a small town in Swedish Lapland famous for its winter market held by the indigenous Sami people. Check out the map for Southern Sweden itinerary here. Visby: This town is on the island of Gotland in the Baltic Sea and is famous for its cobblestone streets and a well-preserved town wall. Ystad, Skane: Next, head to the medieval town of Ystad in the county of Skane. Malmo: Malmo is the third largest city in Sweden and it is here you can find the Oresund Bridge connecting Denmark and Sweden. Gothenburg: Last stop on this itinerary is the second largest city in Sweden, Gothenburg known for its canals and leafy avenues. 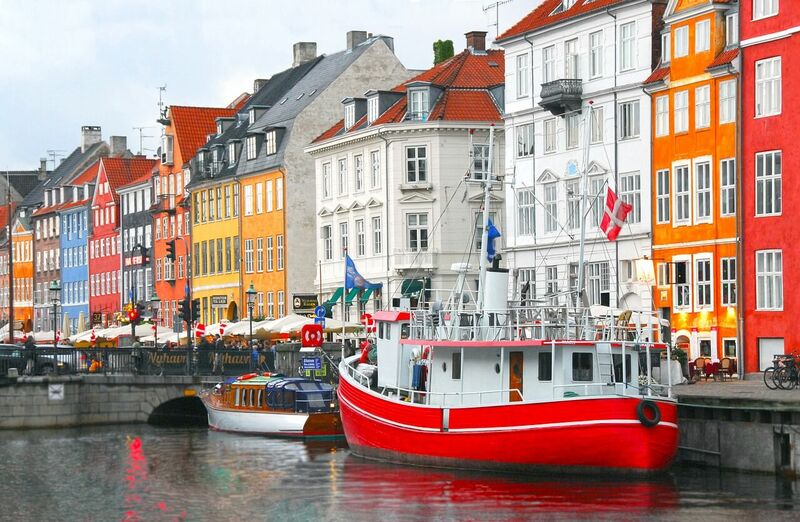 Find out more and book your guided tour to Denmark and Sweden from Copenhagen. Next on our list is the country of Denmark. Even though Copenhagen is a popular destination, not much is known about other places to visit in Denmark. 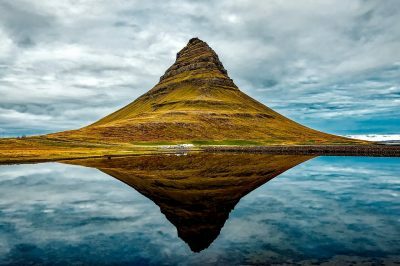 The Faroe Islands are self-governing but they are a part of Denmark and are said to be a must visit. Check out the map of Denmark itinerary here. Dragor: Dragor has many well-preserved historical buildings built in traditional Danish style. Roskilde: Head here to see the Viking city museum and the cathedral holds the tombs of many Danish Kings and Queens. Next stop is the Jutland Peninsula which comprises of continental Denmark and Northern Germany. Aarhus is a popular stop here. Odense: I would love to go here to visit the birthplace of Hans Christian Anderson. Skagen: On the way back to Stockholm, stop at the port town of Skagen. Find out more and buy your Copenhagen City card. Find out more and book your guided tour for a Viking Day experience from Copenhagen. Who hasn’t dreamt of seeing the Northern lights in Norway and hiking the Trolltunga (even though I am in no shape to do this advanced trek)? But Norway is definitely high on my wishlist. Everyone knows Norway as the land of the many Fjords. Check out the itinerary map of South and Central Norway here. Oslo: Let us start with the Capital of Norway with lots of Viking inspiration and green spaces. Stavanger: Next head to the city of Stavanger to drool on the nearby Fjords and white wooden houses. Don’t forget it is an 8-9 hour drive from Oslo to Stavanger. Maybe a flight is easier? Bergen: Next head to the city of Bergen which is at the foot of mountains and surrounded by Fjords. Famed for its wharf and wooden buildings. Trolltunga: I would love to hike the Trolltunga one day but it is a demanding hike and hopefully, I will be fit by then. Flam: Next, head to the village of Flam which is again surrounded by some gorgeous Fjords. Alesund: Next on the list is the cute port town of Alesund on the west coast which is famous for the art nouveau architectural style of the town. Trondheim: Trondheim is next in central Norway and it sits on a Fjord as well. Kystriksveien: This is the coastal route along Norway’s coastline and is known for some dramatic landscapes. Jotunheimen: Last on this itinerary is the mountainous range of the Scandinavian mountains, Jotunheimen. 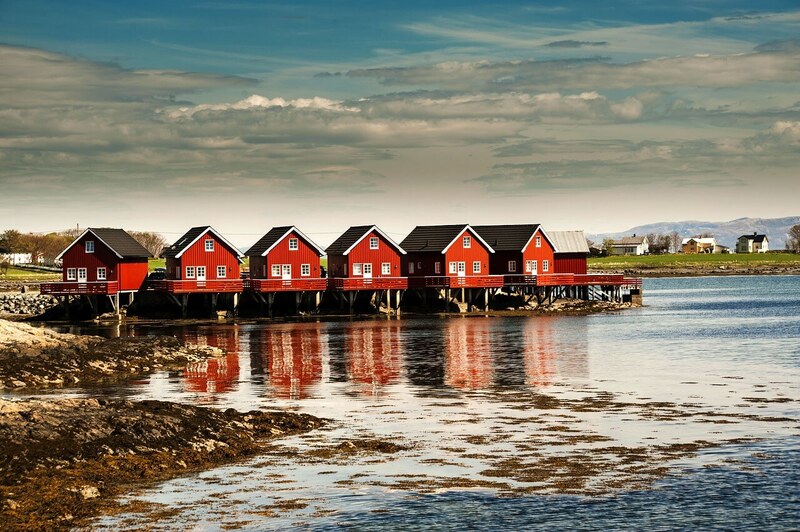 You will have to take a flight to Tromso if you wish to explore North Norway and another flight to Lofoten islands. Tromso: Tromso is famed as the place where you can see Northern lights in Norway. Lofoten Islands: They call them the untamed islands of Norway and is famous for the Northern lights and the midnight sun. They are said to be breathtakingly beautiful. Bodo: Didn’t get enough of the Northern lights? Then head to Bodo to catch some more. Svalbard: Want to get close to the North Pole? Then Svalbard, an archipelago midway between Norway and the North pole is your best bet. Find out more and book your guided tour around Oslo on a cruise. Find out more and book your guided tour for Northern lights experience from Tromso. Find out more and book your guided tour to Stavanger with a local. My close friends recently went to Finland and I can’t stop drooling over their photos. Check out the map for Finland itinerary here. 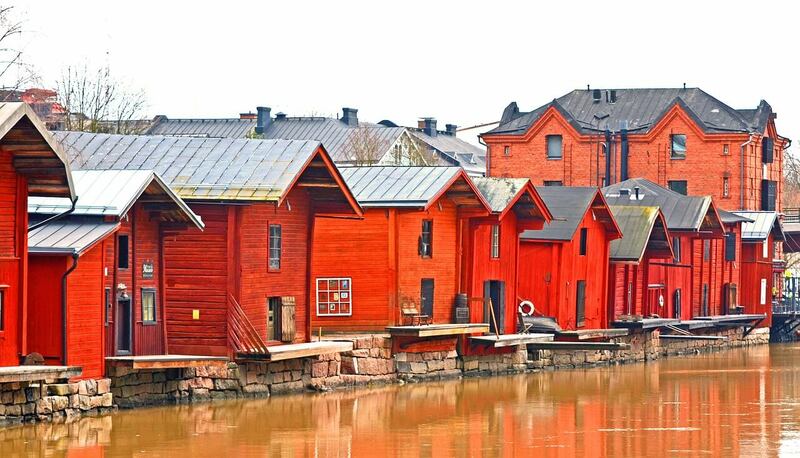 Helsinki: Let us start with the capital of Finland and then also take a day trip to Porvoo. Turku: To indulge in a famous castle, then head to Turku from Helsinki. Tampere: Next, head to one of the most populous inland cities in the Nordic countries, Tampere which sits between two lakes. Vaasa: From here, head to the west coast city of Vaasa and go visit some famous museums here. Savolinna and Lake Saima: Savonlinna is a town in the middle of Lake Saima. The areas around Lake Saima are popular for summer cabins and lake cruises. Want to see some Northern lights? Then head to the Finnish Lapland. Check out the map of the Finnish Lapland itinerary here. Oulu: It is one of those larger northerly cities in the world and there are few cities that are more Northerly than Oulu. Rovaniemi: Next, head to the official home of the Santa Claus and also to catch some Northern lights. Kemi: Next head to the town of Kemi to view the massive icebreaker ship, Sampo. Salla: Last stop is the town of Salla. Find out more and a snowmobile adventure in Lapland. Find out more and book your private guided tour in Helsinki. Find out more and book your guided tour to Rovaniemi as you wait for the Northern lights. Germany is the place where I had wine for the first time. And believe me, it was exhilarating for two 12-year olds and one 7 year old. Even though I have been back to Germany post that trip, I haven’t explored much of Germany. I am going back this year and I am hoping I will be able to explore more of Germany this year. More places will be added post that trip. 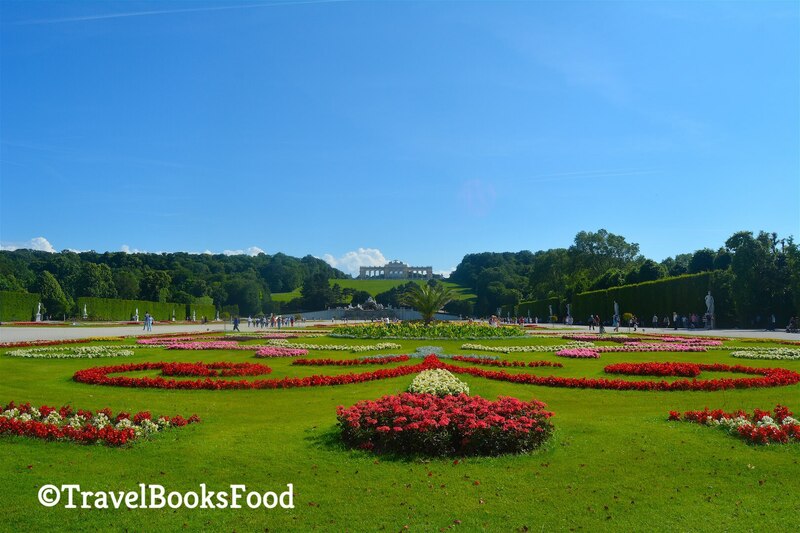 Meanwhile, check out this post about short trips in Germany and around. Check out the map of the Germany itinerary here. Frankfurt: Let us start with Frankfurt, which is quite central to Germany. Heidelberg: Take a day trip from Frankfurt to Heidelberg. My friend claims that it is one of the prettiest towns in Germany. Cologne. Next, head to the western city of Cologne which is more than 2000 years old. Take a day trip to Monschau. Dusseldorf: Next on the list is the city of Dusseldorf famous for its fashion and art scene. Hamburg: Next, head to the city of canals in Northern Germany. Rugen Island: Rugen island is the place to go for beaches in Northern Germany and for some cliff watching. Berlin: Germany’s capital is next on the list, famed for its historical landmarks like the Holocaust memorial and the Brandenburg Gate. Dresden: Saxony area is next on our list. While here, check out Dresden for its classic architecture. Also, head to Leipzig in the area for indulging in some Renaissance architecture. Munich, capital of Bavaria: A beer fan? Then don’t forget to head to Munich for the annual Oktoberfest. Neuschwanstein: Germany is full of dreamy castles but I guess Neuschwanstein is the dreamiest of them all. Lindau: Bavaria is beautiful and a town island Lindau is a must visit when you are in the area. Stuttgart: My friend lives in Stuttgart and it is mainly known for being a manufacturing hub for car manufacturers like Mercedes-Benz and Porsche. Rothenburg: Another one of those ‘Beautiful Villages in Europe’. Find out more and book a guided tour from Dresden to Saxon Switzerland. 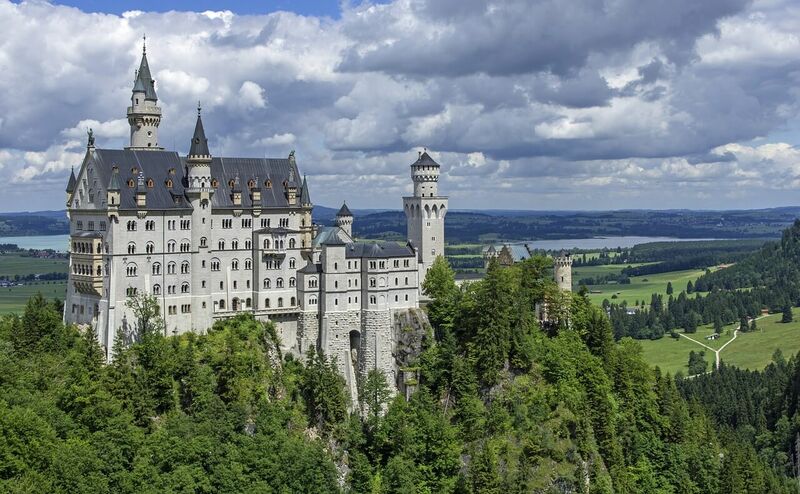 Find out more and book a guided tour to Neuschwanstein castle from Munich. Find out more and book your guided tour down the Rhine Valley. Switzerland has long caught the fancy of people in India and it is one of the top destinations in Europe to visit. Unfortunately, it is also one of the few Western European countries I have not been to due to it being too expensive. 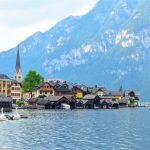 Check out a sample Switzerland itinerary written by a friend and the map of Switzerland itinerary here. Zurich: Let us start with the city that is a global center for banking and finance. Bern: Next let us head to the beautiful capital city of Bern. Jungfrau Region: Let us then explore few days in this region and explore the top of Europe and the resort towns of Interlaken and Grindelwald in the Bernese Alps. Montreux: Next, head to the resort town of Montreux on Lake Geneva. Lausanne: From there, explore another city on Lake Geneva. Geneva: Then head to another famous city of Geneva surrounded by the alps. 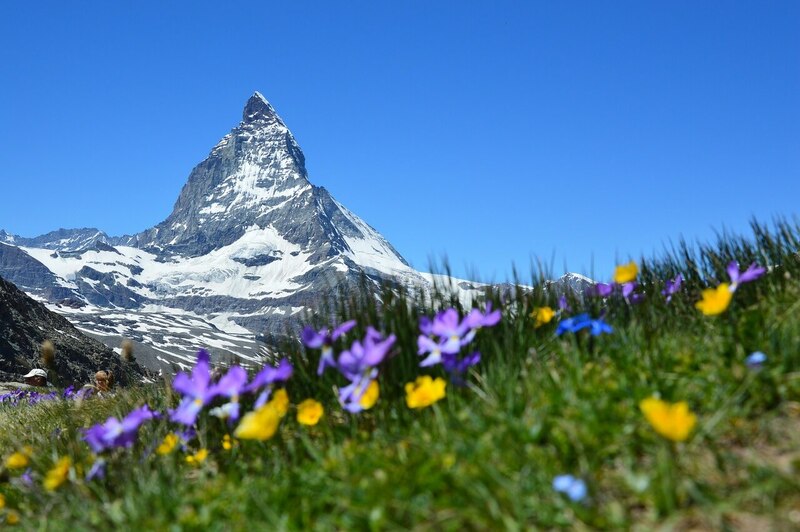 Zermatt: If you are in the mood for some skiing and hiking, then head to the town of Zermatt which lies below the Matterhorn peak. Zernez: Next on the list is the village of Zernez. Lucerne: Lucerne is one of my sister’s favourite cities and this is one place I am dying to visit. Find out more and book a guided cheese and chocolate tour from Lausanne. Find out more and book a guided tour to Top of Europe from Zurich. Find out more and book a guided tour to the Swiss Alps from Lucerne. I spent a few days in Vienna last time around. I even went for a musical opera at the Vienna State Opera House last time. I am hoping to go back to explore other parts of Austria soon. Check out the map of Austria itinerary here. Vienna: Let us start with the capital and go explore the music scene of the city and have some delicious apple strudels. Salzburg: From there, head to the beautiful city Of Salzburg near the German border with the views of the Alps. Innsbruck: In the mood for some winter sports? Then head to the city of Innsbruck in the Tyrol region. Zell Am See: Trails and Lifts from this town on Lake Zell takes us up to the Schmittenhöhe mountain for some skiing. Bad Gastein: Next, head to the spa and Ski town with many hotels built on its steep slopes. Hallstatt: Many people have seen pictures of this gorgeous village in Austria and wondered when we could go there. Graz: Last on the list is the city of Graz known for its medieval old town. Find out more and book a guided tour to Graz and Baden from Vienna. Find out more and book a guided tour to Hallstatt from Salzburg. I am yet to write about my time in the Czech Republic and one day I will probably write about one of the most emotional days I had in Europe. But this gem in Central/ Eastern Europe is definitely a must visit. Check out the map of Czech Republic itinerary here. Prague: One of the prettiest capitals I have been to in Europe and it is like stepping back in time. Also, definitely one of the cheapest I have been to. Castle Karlstejn: On the way to Cesky Krumlov, don’t forget to stop at this large Gothic castle. Cesky Krumlov: I missed going to Cesky Krumlov and anyone who has been to this quaint city tells me that I should have definitely not missed it. Definitely next time for sure. Telc: Next, head south to Telc, a town known for its Renaissance architecture. Brno: Next head to the second largest city in Czechia. Also, don’t forget to head to Moravian Karst, a nature reserve with lots of caverns and gorges. Ostrava: Next is the Northeast city of Ostrava. I was supposed to be in this city this year but looks like I will be missing it this time. Kutna Hora: Don’t forget to take a day trip from Prague to Kutna Hora. Find out more and book a guided tour to Karlstejn castle from Prague. Find out more and book a guided tour to Cesky Krumlov from Prague. 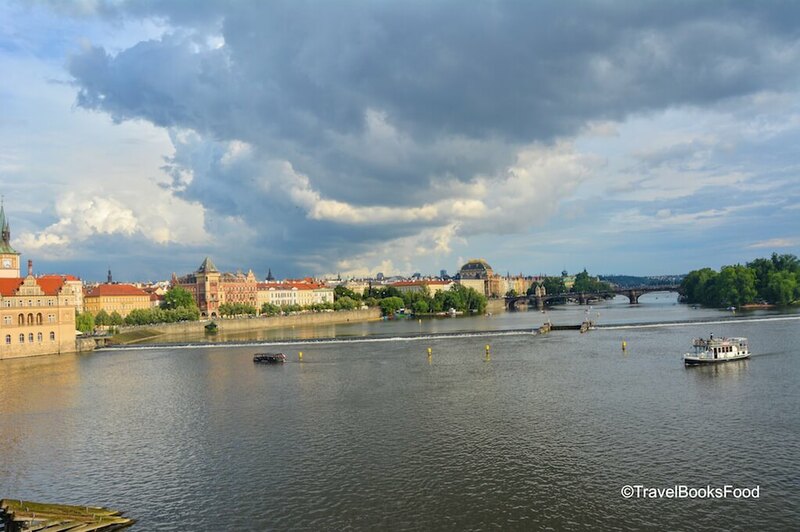 Find out more and book a dinner cruise in Prague. Lake Bled has long captured my fascination. But obviously there are many more places to see in Slovenia and I am hoping to cover at least some of them this year. Check out the map (not circular) of Slovenia itinerary here. Maribor: Let us start with Maribor. Maribor is the second largest city in Slovenia and is also home to the oldest vine. Bled: How can you say no to a resort town at the foothills of the Alps with a gorgeous lake in front of it? Triglav National Park: The Triglav national park is close by and this is another gorgeous area you should not miss in Slovenia. Ljubljana: Next, head to Ljubljana, the quaint capital of Slovenia. Piran: Piran is your best bet when it comes to finding some beaches in the Adriatic coast of Slovenia. Find out more and book a guided tour to Maribor, Ptuj and Zice from Ljubljana. Find out more and book a guided tour to Slovenia’s coast from Bled or Ljubljana. Find out more and book a guided day trip to Bled from Ljubljana. 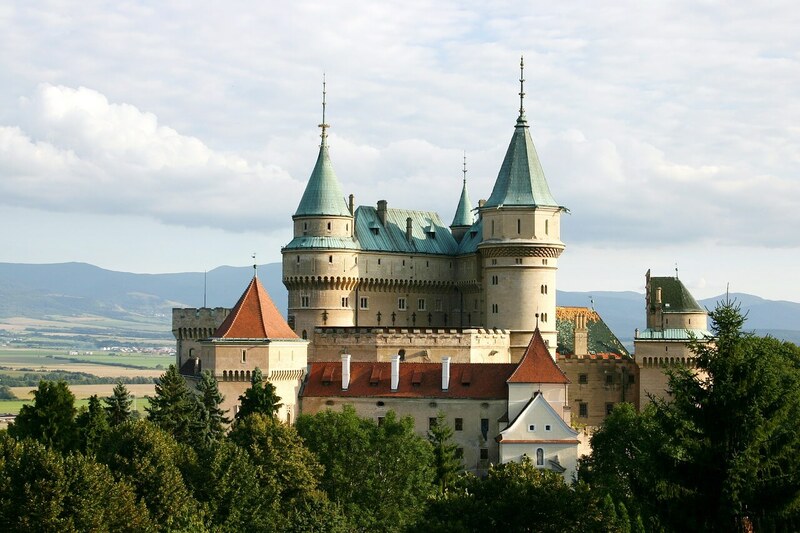 Slovakia is known for its castles and natural landscapes. Who can say no to that? Check out the map of Slovakia itinerary here. Bratislava: Let us start with the capital by the Danube river surrounded by mountains and vineyards. Nitra: Next, let us head to one of the oldest cities in Slovakia at the foot of the Zobor mountain. Banska Bystrica: Next, let us head to a picturesque city in Central Slovakia. Tatra Mountains: If you are in the mood for some hiking/ winter sports/ summer sports, then head to the Tatra mountains near the border of Slovakia and Poland. Poprad: The resort town of Poprad at the foothills of the Tatra mountains is next on the list. Levoca: Levoca, the UNESCO world heritage site is next on the list. Kosice: Head to the Kosice region for some castle hopping in Slovakia. Bardejov: Last on the list is the town of Bardejov in North-Eastern Slovakia. Find out more and book a guided tour to the Slovakian countryside from Bratislava. Find out more and book a full day cruise on the Danube river from Vienna to Bratislava. Hungary is one place in central Europe I missed going to last time when I was in Europe. But there is always time for a visit. Check out the map of South Hungary itinerary here. Budapest: Let us start with the capital of Hungary. 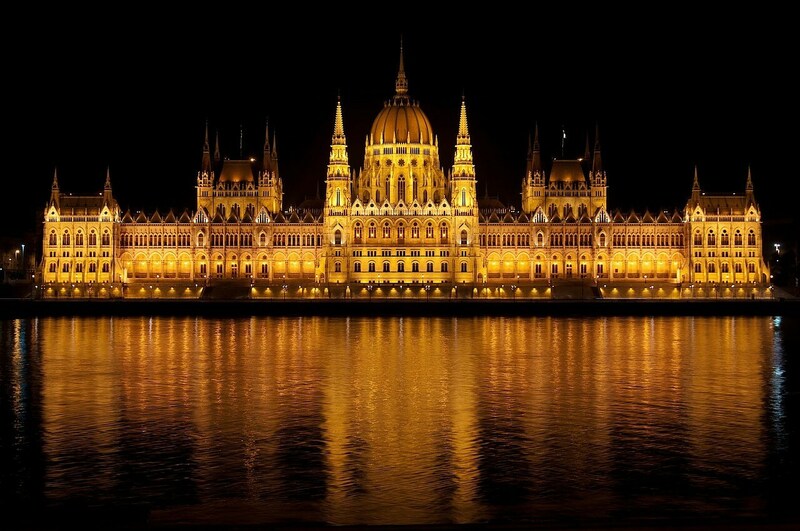 Would love to take a similar photo of the parliament building at nighttime. 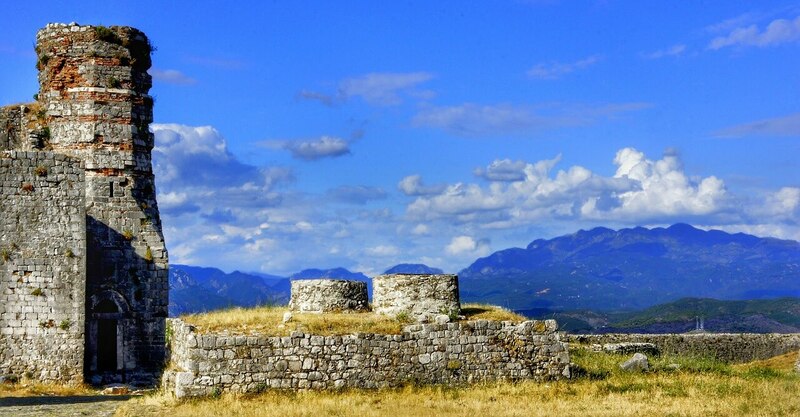 Pecs: If you are in the mood for some history and architecture, then head to the town of Pecs near the Croatian border. Lake Balaton: Next on the list is the freshwater lake of Balaton which has many touristic spots along its shoreline. Tihany is one such village on the lake. Lake Heviz: Next, head to the Spa Village of Heviz known for its thermal waters. Sopron: Head to the city of Sopron near the Austrian border next. Gyor: Last on this itinerary is the city of Gyor, a city midway between Budapest and Vienna. Check out the map of North Hungary here. Holloko: First is the Unesco world heritage site of Holloko in Northern Hungary. Eger: Last is the city of Eger in Northern Hungary. Find out more and book a private guided tour to the Heviz from Budapest. Find out more and book a guided tour to learn more about Hungarian Wine. Find out more and book a skip the line pass to Szechenyi Spa in Budapest. If you are a Mallu, then you would have heard this classic line from the cult movie, Sandesham “Polandene Ne Patti nee Oru Aksharam Parayarathe (Don’t talk about Poland). But how can we not talk about Poland? Check out the map of Poland itinerary here. Warsaw: Let us start with the capital with a long and turbulent history. Krakow: Next, head to the south to a city known for its well preserved medieval and Jewish quarter. Wroclaw: Next, head to Wroclaw which is famous for its Gothic architecture and elegant townhouses. Lodz: Lodz is next on the list which is used to be a former textile manufacturing hub. Poznan: In need of seeing more old-world architecture, then head to Poznan in western Poland. Torun: Torun in Northern Poland is next on the list. Sopot: Sopot on the Baltic Sea is known for its sandy beach and healthy spas. Gdansk: Last stop is the port city of Gdansk on the Baltic coast. 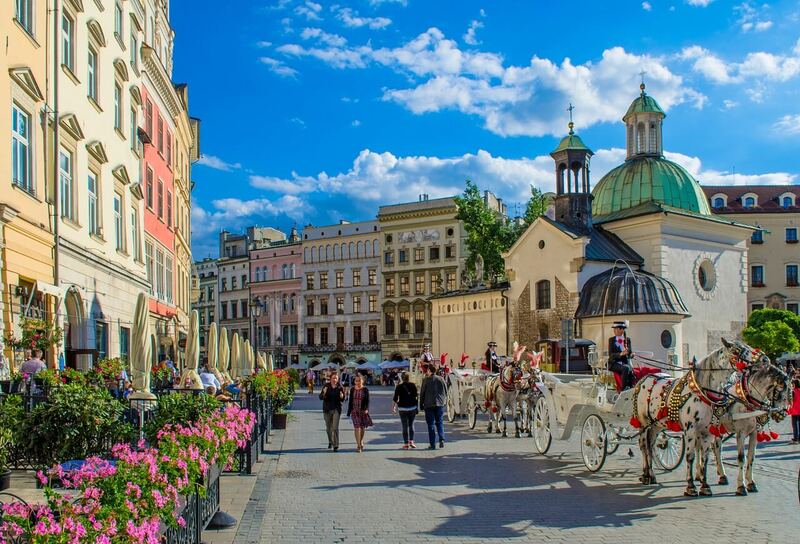 Find out more and book a Chopin Concert in Warsaw’s old town. Find out more and book a guided tour to Auschwitz camp from Krakow. Find out more and book a guided tour to Wieliczka salt mine from Krakow. Find out more and book a guided tour around Kiev at night. 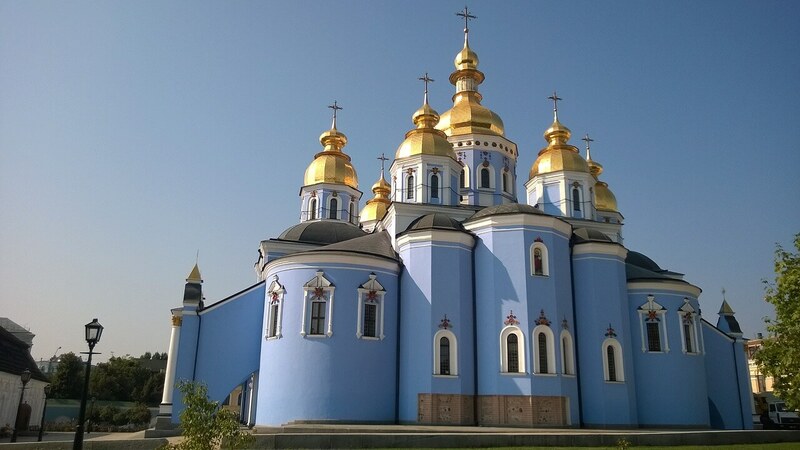 Find out more and book a guided tour to Chernobyl and Pripayt from Kiev. Romania has been on the spectrum of many travel bloggers and they have definitely upped their tourism promotion in the past few years. Hopefully, I can make it to the land of Dracula one day. Check out the map for the Romania itinerary here. Find out more and book a guided tour around Peles Castle from Bucharest. Find out more and book a guided tour around Transfagarasan road and Dracula’s stronghold. 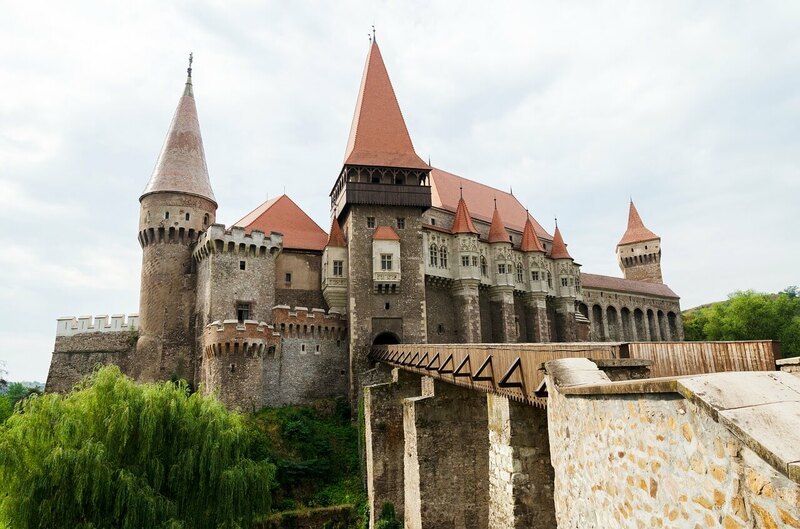 Find out more and book a guided 2-day tour in Brasov and Sighisoara in Transylvania. It is not that known to visit Bulgaria from India. But I would love travelling to Bulgaria since I have a few friends there. Check the map of the Bulgaria itinerary here. Sofia: Let us start with the capital of Bulgaria which is renown for having more than 2000 years of history. Varna: Next head to the seaside resort of Varna on Bulgaria’s Black Sea Coast. Nessebar: Next is another town on the Black Sea Coast, Nessebar. 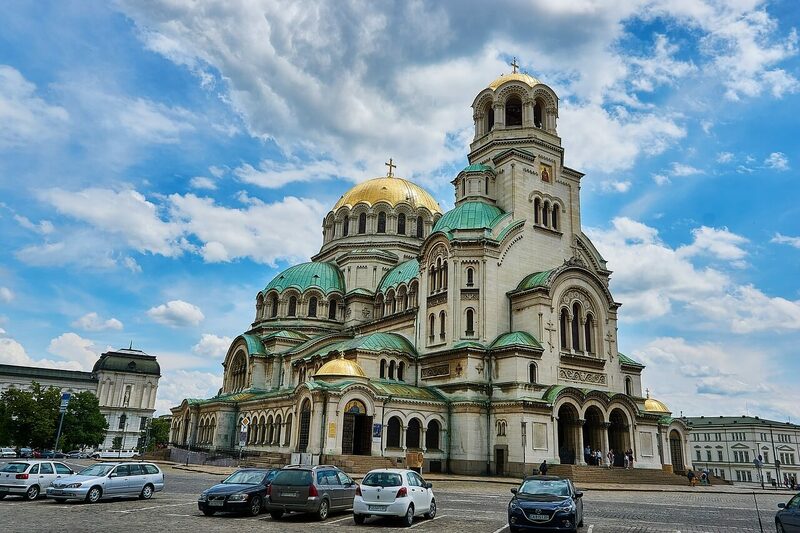 Burgas: End your tour of the Black Sea Coast with the town of Burgas. Plovdiv: Go south towards the ancient city of Plovdiv. Find out more and book a guided tour to Rila Monastery and Boyana Church Tour from Sofia. Find out more and book a guided tour to Plovdiv from Sofia. I am dying to go to the Balkans and Croatia is definitely quite high on my wishlist. I am hoping to go here this year and hopefully, it will be just as I imagined it. Check out the map of Croatia itinerary here. Zagreb: Let us start the road trip with the capital of Croatia. Plitvice: Next, head out to the forest reserve known for its terraced lakes, joined by waterfalls. Zadar: Head to the Dalmatian coast to see some Roman and Venetian ruins. KRK: This is a large island in the Adriatic sea, connected to the mainland by a bridge. Split: Next is the town of Split known for some spectacular beaches. 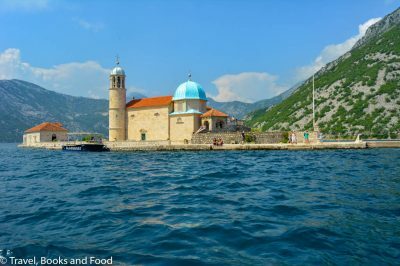 Hvar Islands and Korcula Islands: Don’t forget to head out to the both these islands in the Adriatic Sea. 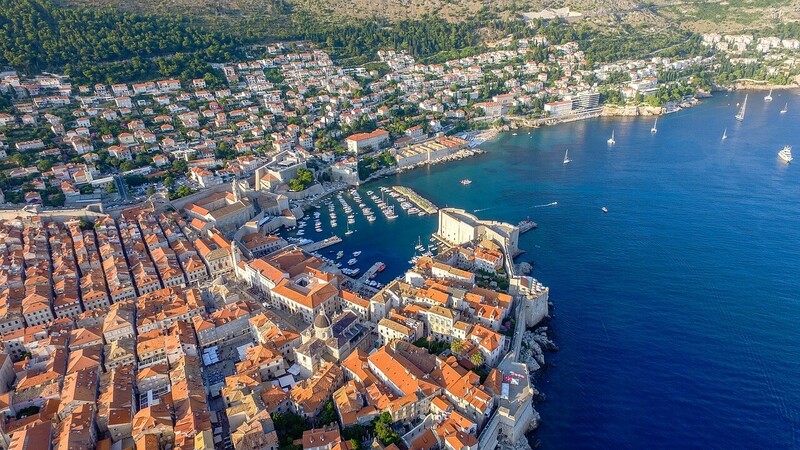 Dubrovnik: The parts from the King’s landing in GOT is mostly shot in Dubrovnik and the old town is said to be both charming as well as crowded. Find out more and book a guided Game of Thrones tour in Dubrovnik. Find out more and book a guided tour to Hvar Islands and Blue Cave from Split. Find out more and book a guided tour to Plitvice park from Zadar. Albania definitely receives a lot less attention compared to its neighbour, Greece. But many people who have been there swear that it is a great summer destination with comparatively lesser crowds. Check out the map of Albania itinerary here. Tirana: Let us start with the capital. It is said to be a fascinating place for being home to some Ottoman, Soviet and Soviet culture. Berat: From here, why don’t you take a day trip to Berat, the city of 1000 windows and which is a perfect example of the country’s religious harmony? Albania Riviera: Make your way to the Albanian Riviera which is connected by the Llogara pass. You can stop at any of the towns like Dhermi, Himara or Sarande in the Albanian Riviera. Also, don’t forget to head to the Ksamil islands. Gjirokaster: On the way back to Tirana, don’t forget to stop at the UNESCO world heritage site of the old town of Gjirokaster. 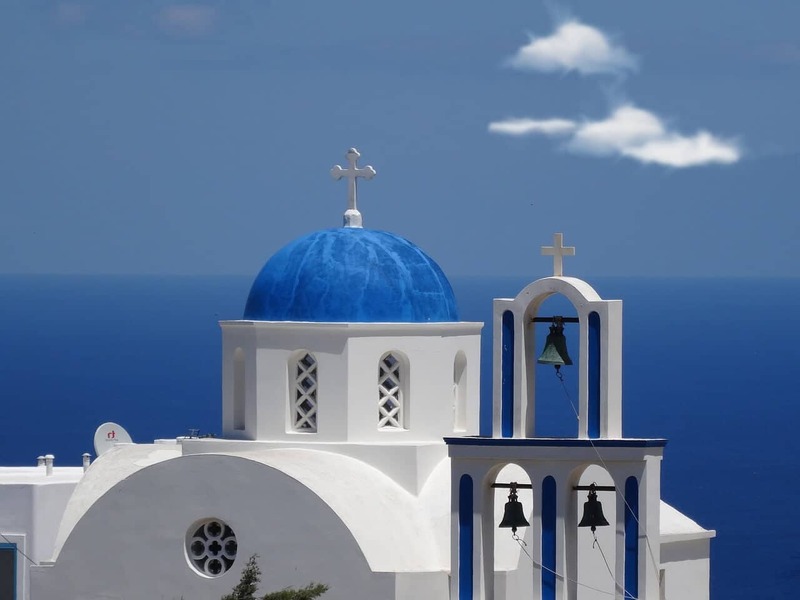 Greece is definitely one of those destinations that is coveted by many people from around the world. It is said to have some of the most beautiful beaches in the world. Check out the map of Greece itinerary here. Athens: The Greeks were one of the most powerful civilisations of the world once upon a time and the evidence of this can still be seen in the capital city of Athens. Delphi: If you love archaeology and ancient architecture, then Delphi is the place to visit. Thessaloniki: In this port city, you will find evidence of so many eras of history. Meteora: You must have seen numerous photos of monasteries perched on top of rocks and this is found in Meteora. Greek islands are estimated to be around 1200-6000. It is difficult to choose which islands to visit but some of the below ones are the popular one. Find out more and book your guided tour Delphi from Athens. Find out more and book your guided tour to Meteora from Thessaloniki. Istanbul fascinates me because it lies exactly between the west and east. But other parts of Turkey are equally intriguing and I would love to visit Turkey one day soon. Check out the map of the itinerary of Turkey here. 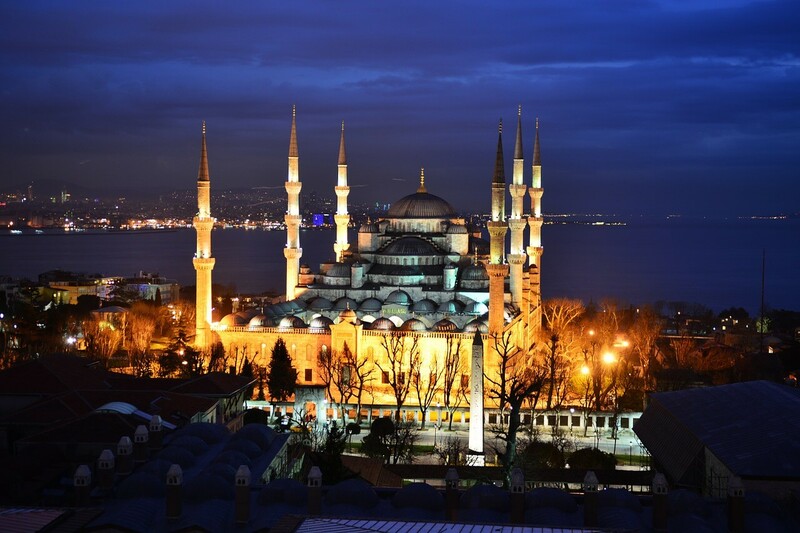 Istanbul: Let us start with Istanbul, the meeting point of the west and the east. Ankara: From here, let us head to the capital of Turkey, Ankara. Pammukale: Have you seen those blue and white pictures of the thermal waters and wished you could visit? That is Pammukale for you. Ephesus: This was a former Greek city. Nowadays the ruins of Ephesus is a popular tourist attraction. Bodrum: This city has history and is the gateway to other beach resort towns and cities in Turkey. Marmaris: A popular diving Mediterranean location along the Turkish Riviera. Antalya: It is part of the Turquoise coast and is famous for its blue waters. Konya: It is a pilgrimage destination for Sufis and has some fascinating architecture. Goreme, Cappadocia: This place looks straight out of a fairy tale and is famed for its fairy chimneys and Hot Balloon rides over the arid region. I was really disappointed to know that the Azure window in Malta had collapsed last year. It was on my bucketlist. Nevertheless, I would love to go to Malta to see some other gems. Also, would love to see the country where the initial seasons of GOT were filmed. Have you seen the hilarious video of a Buzzfeed employee who is famous in Malta? Check the map of Malta itinerary here? Valletta & Sliema: Let us start with the capital of this tiny Mediterranean island country, Valletta. Next head to the resort town of Sliema. Blue Grotto: Next, head to see some sea caverns on the coast of Malta. Mnajdra Temples & Hagar Qim Temples: Next, head to the Megalithic temples of Malta which are considered to be one of the most ancient religious sites in the world. Mdina: Mdina, the fortified city in the North is the next stop on our itinerary. Dingli Cliffs: Go see some gorgeous vista from the Dingli cliffs next. Rabat: Looking for more historical sites? Then head to Rabat in the North. Mellieha: Need some beach time. 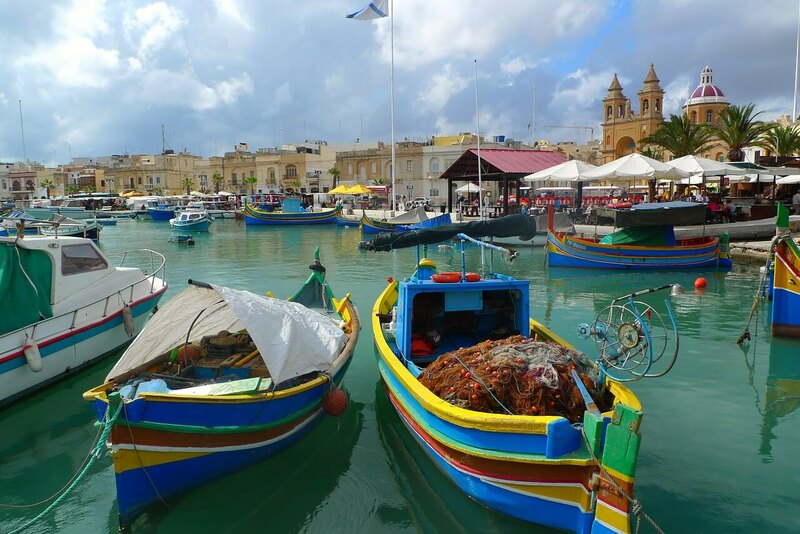 Then head to the resort town of Mellieha. Popeye Village: This is a film set from the 1980’s movie which is now a famous tourist spot in Malta. Gozo: Take a ferry to the neighbouring islands of Gozo and Comino. 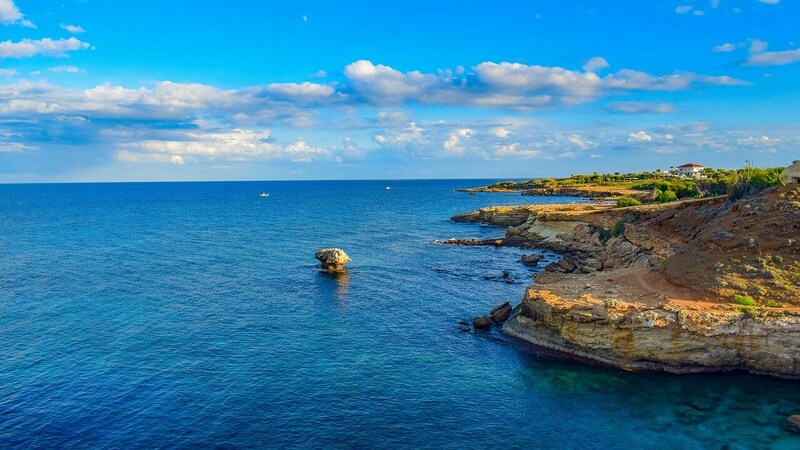 Just imagine an island country with some gorgeous Mediterranean seas around it and Cyprus will definitely come to mind. (This, however, is not a circular itinerary even though I have made one here as well). Check out the map of a Cyprus itinerary here. Akamas: Akamas is the cape at the northwestern part of Cyprus and is largely inaccessible except for the towns of Polis and Pegeia. Paphos: Next on the itinerary is the city of Paphos famous for being the mythical birthplace of the Goddess, Aphrodite. Troodos: Located in the centre of the island is the Troodos mountains and is the highest mountain range in the island country. Limassol: Next, head to the south coast of Limassol, known for the Limassol castle. Larnaca: Looking for more sandy beaches, Then head to Larnaca. Ayia Napa: Another Mediterranean resort town and famed for its gorgeous beaches and Ayia Napa Monastery. Protaras: Head further south and you will find another resort town of Protaras. Nicosia: The capital of Cyprus and you will have to reach different parts of the island from here. Famagusta: Looking for more history? Then head out to the city of Famagusta. Kyrenia: There is definitely no dearth of history and beaches and Kyrenia is another city that is located in the northern part of the island. Latvia is one of those countries that do not generate too much interest in tourists from India. But that is definitely not right since Latvia definitely has some stunning places to visit. Check out the map of our Latvia itinerary here. 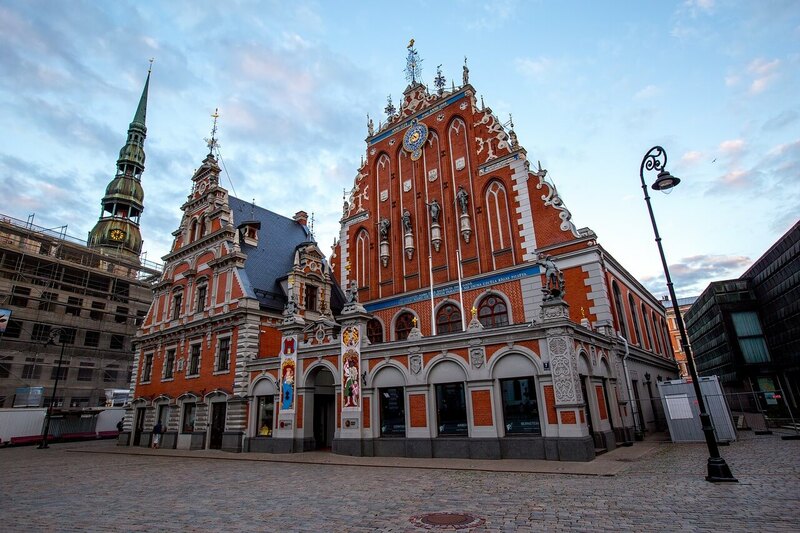 Riga: The capital city is set on the Baltic Sea and is famous for its wooden buildings and is known to be a cultural center. Sigulda: From Riga, head to Sigulda and the Gauja national park and surrounding areas here. Jurmala: Also, don’t forget to head to the resort town of Jurmala. To be updated in the future. Check out the latest Europe posts from the blog below. Looking for more such content? Don’t forget to subscribe. Wow, this is amazing!! What a comprehensive post! I know my vegetarian friends will appreciate your vegetarian food suggestions 🙂 Thanks for taking the time to write this very complete guide to Europe! I love that you’ve included suggestions for all the small and less-visited countries as well. Great job. Thank you for these travel ideas. I’ve just come back home from my trip to Norway. Let me point out two more spots for your consideration—these are Preikestolen or Pulpit Rock and Trollstigen aka the Troll’s Road, both located within central and southern Norway. I was totally carried away by visiting these stunning places and am pretty sure they must be included in the itinerary. Thank you Robert for the suggestions. Will definitely check it out. Incredible post Soumya. I really liked it. Amazing post Soumya, loved how informative it was. Great work!